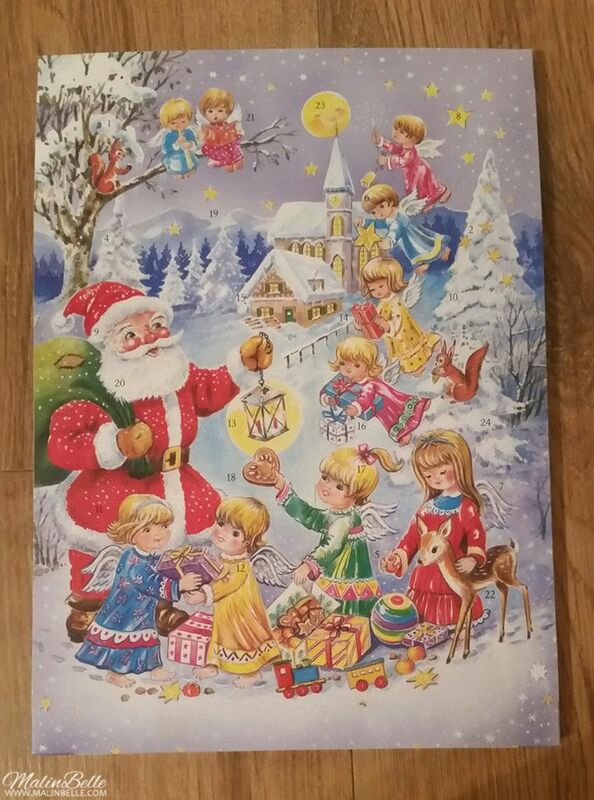 My chocolate advent calendar for 2015. Today I went to some stores looking for a chocolate advent calendar but I could only find some in the fourth store that I went to. They had some different classic designs but I obviously chose the one on the photo above. Most of the stores have probably removed all of the chocolate advent calendars since it's already December 1 tomorrow so this was a very last minute purchase but I don't plan to stop my chocolate advent calendar this year or anytime soon so I obviously had to get one today! I've never bought my chocolate advent calendars this last minute before so next year I definitely have to buy one earlier. I usually choose a chocolate advent calendar with a Hello Kitty or Disney design, or both, but unfortunately I couldn't find any today so I had to buy the best one I could find. COPYRIGHT © BY MALINBELLE.COM - ALL RIGHTS RESERVED. EVERYTHING ON MY BLOG IS CREATED BY ME UNLESS STATED OTHERWISE. ➡ READ MORE ABOUT MY BLOG HERE. ➡ READ MY BLOG POLICY HERE. ➡ I ANSWER EVERY COMMENT IN THE SAME BLOG-POST. ➡ ANONYMOUS COMMENTS WILL BE DELETED. ➡ COMMENTS WITH SPAM/LINKS/COMMERCIAL WILL BE DELETED. ➡ COMMENTS THAT HAS NOTHING TO DO WITH THE BLOG-POST WILL BE DELETED. ➡ ANY NEGATIVE/RUDE COMMENTS WILL BE DELETED & THE SENDER IP WILL BE BLOCKED. By registering your personal data (name/e-mail/URL) in a comment on MalinBelle.com, you accept them to be stored in the blog archive according to GDPR. This blog is 100% copyrighted by MalinBelle.com, since 2009. The blog-design is made by me, Malin. I’m 158 cm and I have red mermaid hair. I’m a Introvert; INTJ. I’ve been a Pescetarian since 2006, and have always had a Straight Edge lifestyle. I’m a Ravenclaw. I’m a cat lady and animal lover. I’m a feminist, and a big supporter of animal rights + human rights. My interests are Animals, Anime, Architecture, Art, Astrology, Blog, Crafts + DIY, Crystals, Disney, Fantasy, Gaming, Harry Potter, Interior Design, Literature, Movies, Music, Organization, Photography, Planning, Tarot, Traveling, TV-series, Web-design, Writing & YouTube. My blog is a lifestyle blog. Since October 2011 I write all my blog-posts in English. Read more about my blog & my blog policy. Share book reviews and ratings with Malin, and even join a book club on Goodreads. Malin has read 0 books toward her goal of 24 books. MalinBelle.com’s visitors since July 24, 2014. My blog-design is made by me, MalinBelle.com. The illustration in my header is made by CinnamonSeries.com. Blog is best seen in Chrome & Mozilla Firefox. My blog is 100% copyrighted by MalinBelle.com, since 2009. Everything you see on this blog is created by me unless stated otherwise. My photos are always marked with my URL MalinBelle.com (photos from January 2009 - September 2011 are marked with my old URLs Malyn.se & Celeborn.blogg.se) and my photos are normally published in my photo-categories. I always mention the source to photos, images + texts that aren’t mine; either if you hover over the photo/image or at the end of the blog-post. Use the coupon code "MalinBelle" to get 10 % off everything on the Cuddle Clone website!